What's it like to be a practicing Messianic Jew at a Christian college? Meet Yudit Lange of Wheaton College. This Saturday, instead of studying or doing homework, senior Yudit Lang will take her Sabbath in her room, listening to sermons from home. Lang is one of the few Messianic Jewish students here at Wheaton College. “Jews don’t typically believe in Jesus, but we do. So, we do Jewish things like keeping the Sabbath on a Saturday or keeping kosher, but we also believe in Jesus,” Lang said. Lang’s mom isn’t Jewish — she’s a Christian Syrian from Iran. When her parents met, Lang’s dad attended a Messianic congregation at the time and he brought her along one Sunday. She enjoyed it and decided to raise Lang and her sister under those beliefs. Her family now lives in Skokie, a town located 50 minutes away from Chicago, and Lang goes home once a month to attend the congregation there. Lang is a quarter Jewish, but her parents raised her and her sister up as Messianic Jews in a Messianic Jewish congregation. This means that she celebrates all the Jewish holidays. “I celebrate Rosh Hashanah, which is like the New Year, and Yom Kippur. My family keeps kosher, so I only eat kosher meat and things like that. I don’t eat pork,” Lang said. Lang remembers their holidays vividly, and she laughed, remembering, “There’s always long services the night before, because all holidays start at night … I always remember those — we eat apples and honey to start the new year.” Historically, Jewish people eat apples and honey for Rash Hashanah as part of an age-old tradition to eat sweet things in hopes of a sweet year. Those who abide by the lifestyle of Messianic Judaism believe in the messiahship of Jesus Christ but adhere to Jewish traditions. Maintaining Jewish customs is not a matter of maintaining salvation, but of maintaining culture. The Record met up with two members of the Messianic Jewish community on campus to hear their stories about being both Jewish and Christian. Lang chose Wheaton after being homeschooled her whole life because she wanted to be a part of a Christian community. But she has had difficulty finding a community or synagogue here. There are also tensions between Judaism and the wider Christian culture, especially when it comes to theology. Messianic Jewish students and faculty are an important part of the diversity of Wheaton’s campus. 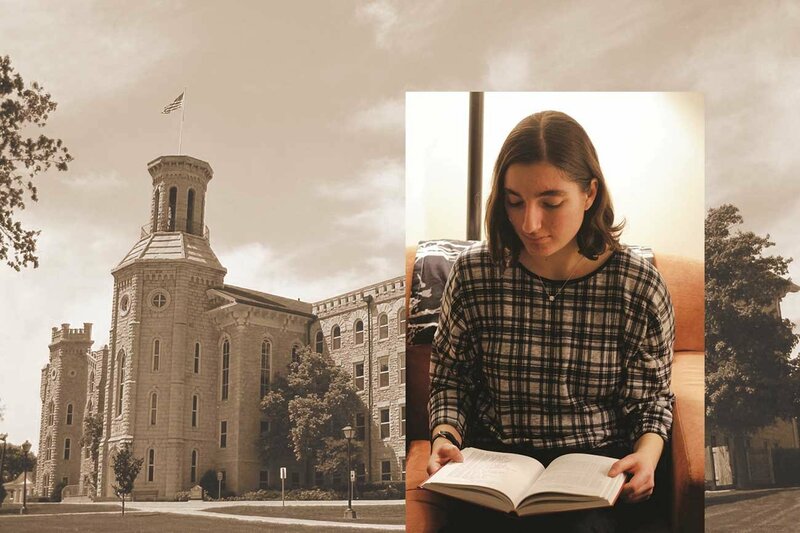 “Wheaton is for all students who affirm the centrality of the Gospel and seek to follow Christ in all arenas of life, whether they are Messianic Jew, Orthodox Christian, Catholic or evangelical. We want to uphold what ties all believers together in Christ as primary while learning to live together in our differences,” noted Ray Chang from the Chaplain’s Office. Yudit hopes for more people to become interested in Messianic Judaism, and to actively reach out in the same way she has towards the Christian community. By becoming more engaged in conversation with those who practice Messianic Judaism, we can be positively influenced by the grounding in tradition and history that comprise this particular body of believers. This article is an excerpt from the full article that appeared in The Wheaton Record, the official student-run newspaper of Wheaton College, Illinois. It is reprinted here with permission. Read the full article here. Esther Kao is a guest writer with The Wheaton Record and a student at Wheaton College.